A day in Paris can be so magical if you get to explore the best non-touristy neighborhoods of the city! Walking the city avoiding the touristy places allows you to truly experience the city, get in touch with the locals, and discover the best places. Paris landmarks are amazing. 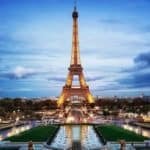 Everyone comes to Paris to visit the Eiffel Tower, the Louvre, the Notre Dame cathedral, the Sacre-Coeur basilica, and many other mesmerizing places. 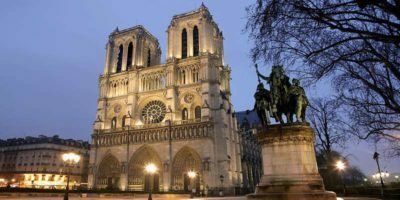 The architecture, the history, the culture of the city of Paris are simply one-of-a-kind, and you will surely fall in love with every tiny detail of these places. 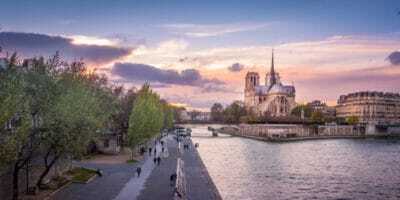 But Paris has so much more to offer, and much of it is found in the non-touristy neighborhoods. 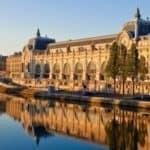 If you want to truly experience the Parisian lifestyle, to understand the culture and feel like a local, you need to read on this article and find out the best non-touristy neighborhoods of Paris! If you want to explore the best non-touristy neighborhoods while in Paris, the Montorgueil neighborhood is definitely one of them. Very few tourists go to this area, and when they do, they happen to get there by chance! The Montorgueil neighborhood is very popular among the locals. If you love food and want to try the best traditional French specialties, the rue Montorgueil is the place you need to go to. If you’re curious and believe you can learn a lot about a country’s culture through its food, you have to go to this street! When a Parisian looks for a tasty cheese or an excellent wine, he goes to rue Montorgueil. And I believe that if the locals buy their products in a certain place, I think you should trust them and do the same! However, it is indeed impossible for every English speaker to pronounce the name of this street, so please, do write it down. 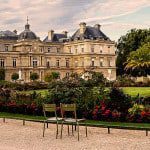 It is very central, and only a few minutes away from the Louvre Museum! The area around this street is also very fun and interesting! 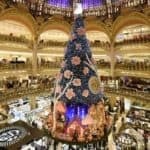 Check the Tour Saint Jean Peur, the rue Etienne Marcel for those of you who want to do some shopping. 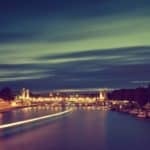 Read this article if you want to know more about the Montorgueil neighborhood and its surrounding areas. One of the most pleasant neighborhoods of Paris is the Canal Saint Martin neighborhood, located in the tenth district of the city. It’s one of favourite places for Parisians, especially during spring and summer. They love to go there to relax, have a walk or enjoy the sun. Many groups of friends or relatives sit in the banks of the canal to talk for hours or have picnics. The neighborhood is so beautiful. The walk along the canal is 4.5 kilometers long, with many bridges and along the way you will also find plenty of bars and cafés. All these details turn this neighborhood into one of the most romantic and magical places of Paris. It is very close to the Marais neighborhood. 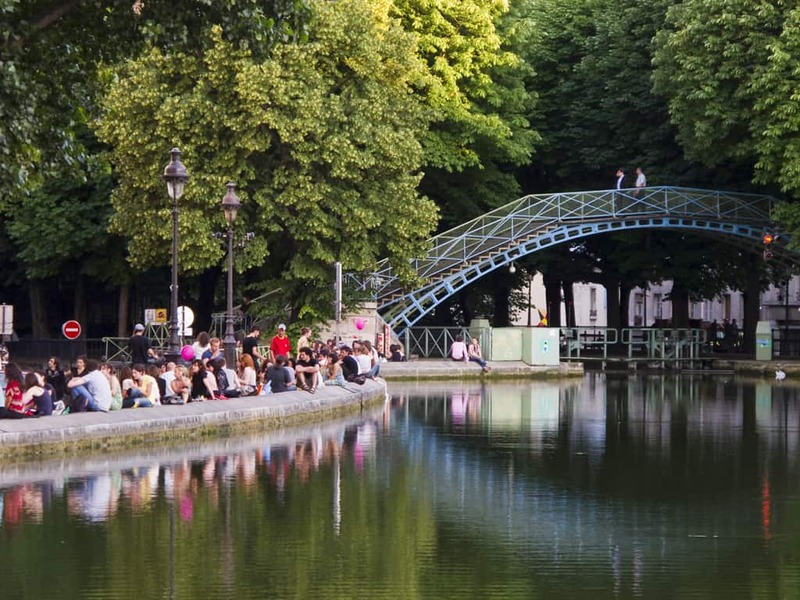 In the Canal Saint Martin neighborhood, you won’t find neither monuments or museums, it is probably why it is so special for the Parisians. 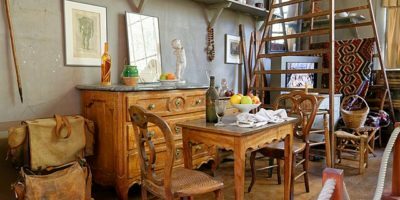 If you want to know what to do near the Canal Saint Martin, you should definitely read this article. Then, I also recommend you to check this article about the tenth district, arrondissement. You probably feel like the Marais is a touristy neighborhood, I can tell you that it’s not! Especially, if you get to visit the area in the company of a local. While walking the Marais, you will find plenty of fashion stores, art galleries, mansions, and many other surprises! But I have to say that it is much better to do it with someone that actually knows the neighborhood, so don’t hesitate to join our Marais tour! The Marais used to be an old marshy zone. But since the twelfth century, some religious orders and members of the Parisian aristocracy established there. Nonetheless, after the French Revolution, wealthy landowners were chased and plenty of craftsmen and workers occupied the mansions of the Marais and built workshops in inner courtyards. Nowadays, the best of fashion is found there. You will find happiness shopping in the Marais, whether you’re looking for casual fashion items or fashion statement items. From vintage stores to famous brands stores, you will have plenty of opportunities to renew your wardrobe and get inspired by the Parisian style. Everything you need to know about Parisian art galleries. 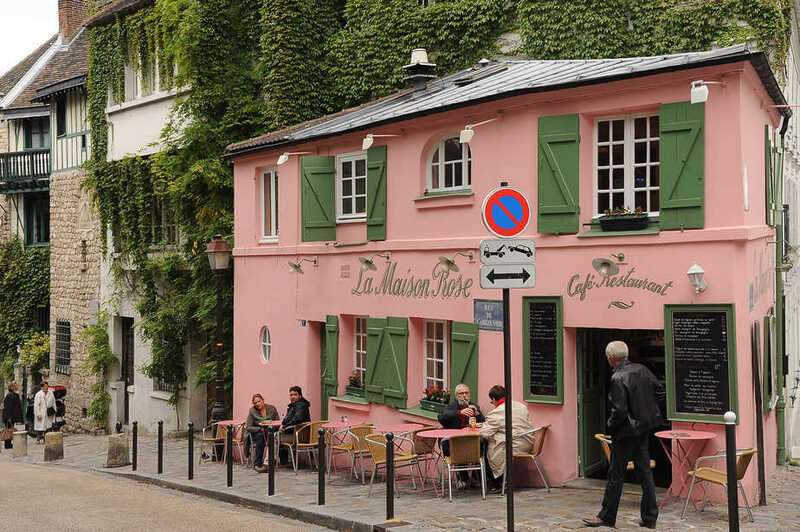 The Montmartre neighborhood is the most romantic and awesome place you’ll find in Paris. To visit Montmartre will positively inspire you and wake the artist in you up. 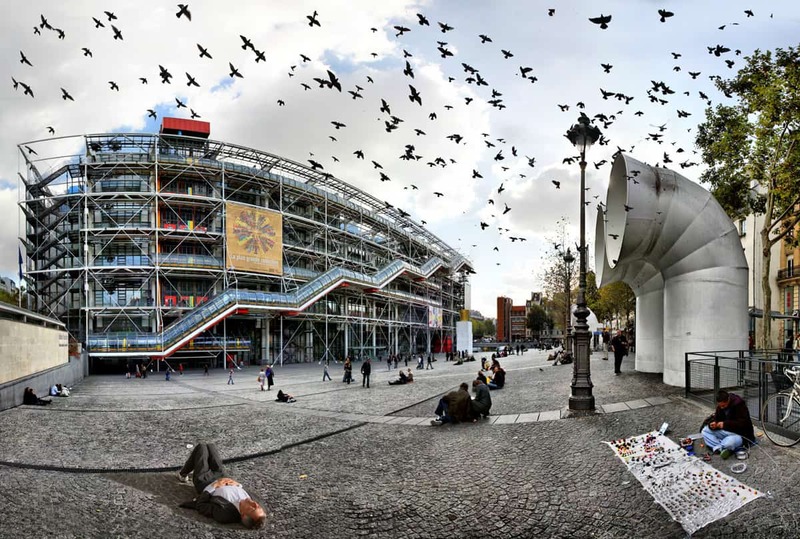 The truth is that usually people that visit Paris go straight to the Sacré-Cœur Basilica or to Place du Tertre, where street artists do tourists portraits and illustrations of the neighborhood. But there’s so, so much more about Montmartre than these two places! Its narrow alleys, its windmills, its little details, its soul are some of the things that make Montmartre so unique. If you let one of our guides take you in a lovely walk through Montmartre, you will love the experience! You will get to visit the charming neighborhood and all its hidden gems! >> Join our Montmartre tour! >> Read this article to know a few fun facts about the Sacre-Coeur. When Napoleon III was reigning during the Second Empire, the city of Paris went under a urban renewal. Paris was still too medieval. The streets were too narrow and not safe. So the emperor decided to renovate the whole city but the Marais neighborhood. It was the Baron Haussmann that undertook these huge projects. 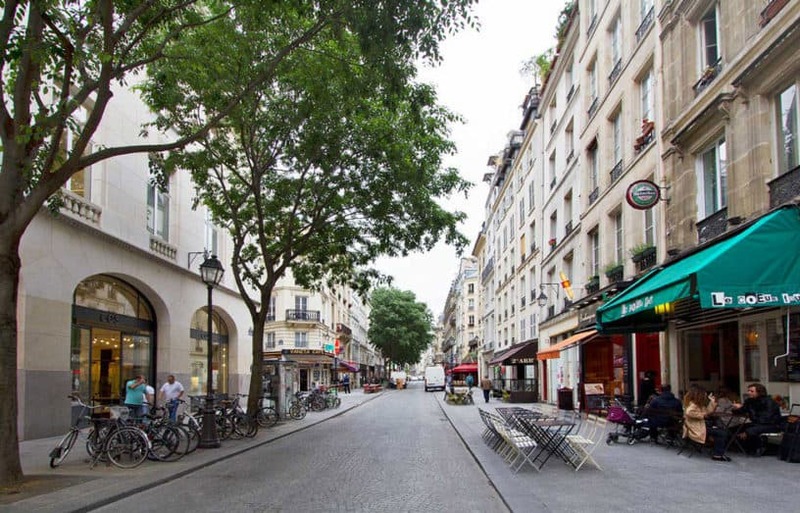 The Grands Boulevards neighborhood is the symbol of the esthetic the city of Paris adopted during that time. Large avenues and the absence of trees allow the visitor to admire the architecture of the buildings. This area is definitely one of the most beautiful places in Paris. 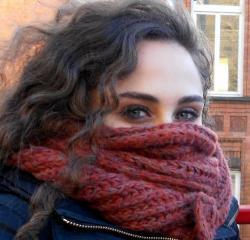 It has a very rich cultural heritage and slowly became one of the most famous places in terms of fashion and culture. You will love to walk this area or spend the night in there! 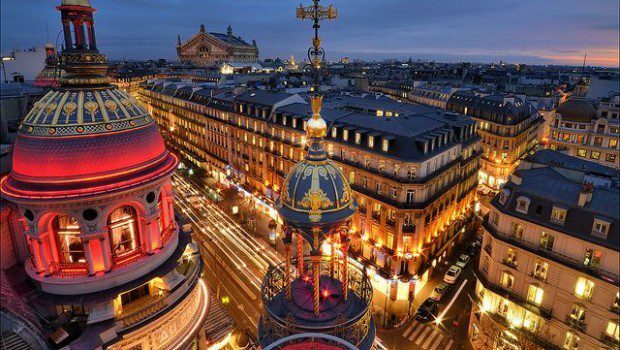 The nightlife is very lively, there are plenty of bars, Parisian brasseries and show venues!